In a recent judgment the Supreme Court heard a joined case concerning the rights of two EU citizens to claim social assistance in the United Kingdom. The Court considered whether domestic law governing the grant of social assistance was compliant with EU law. Broadly, the Treaty on the Functioning of the European Union (“TFEU“) prohibits any discrimination on grounds of nationality. In addition, the TFEU requires that every national of an EU Member State should have “the right to move and reside freely within the territory of the Member States“. This right is subject to the conditions and limits defined by the EU Treaties and any measures adopted to give effect to the Treaties. The right of EU citizens to live in any Member State of the EU is set out in Directive 2004/38/EC (“2004 Directive“). The 2004 Directive grants Union citizens the right to residence in another Member State “for a period of up to three months without any conditions or formalities“. After three months, an EU citizen may remain in another Member State if he is either a worker, self-employed, or has sufficient resources “not to become a burden on the social assistance system of the host Member State“. Further, where an EU citizen has a right of residence pursuant to the 2004 Directive, that citizen “shall enjoy equal treatment” with the nationals of the host Member State. The 2004 Directive was implemented into English law by the Immigration EEA Regulations 2006 (“EEA Regulations“). The EEA Regulations provide that all EEA nationals have the right to reside in the UK for three months, and that a “qualified person” is entitled to stay in the UK for as long as he remains so qualified. Qualified persons include job-seekers, workers, and self-employed and self-sufficient persons. When Poland joined the EU in 2004 the provisions of the Treaty on Accession 2003 (“Accession Treaty“) enabled existing Member States, such as the UK, to exclude Polish nationals (along with nationals from seven other acceding Member States, so-called “A8 Nationals“) from the right to residence unless they had achieved registered employment in that State for an “uninterrupted period of 12 months” following accession. Domestically, the Accession (Immigration and Worker Registration) Regulations 2004 (“A8 Regulations“) give effect to this provision. Entitlement to income support arises under the Social Security Contributions and Benefits Act 1992 and the Income Support (General) Regulations 1987 (“Income Support Regulations“). Income support is made available to individuals who are not in relevant work or education and receive income below a specified amount. A person “from abroad” is not eligible for income support under the Regulations. A person is categorised as “from abroad” unless they are “habitually resident” in the UK and have the right to be so. In order to qualify for income support under the Regulations, a person from abroad must be a “worker” within the meaning of the 2004 Directive. For A8 Nationals this is defined in accordance with the A8 Regulations. The Housing Act 1996 (“Housing Act“) places local authorities under a duty, in cases of involuntary homelessness, to provide homeless people with accommodation unless they are not eligible for assistance. A person who is “subject to immigration control” is ineligible for housing assistance. This is defined by the Allocation of Housing and Homelessness (Eligibility) (England) Regulations 2006 which states that a person from abroad will be eligible for housing assistance if he is a “qualified person” pursuant to the EEA Regulations. Ms Mirga is a Polish citizen who moved to the UK in June 2004. Between April 2005 and November 2005 she held registered employment for the purposes of the A8 Regulations. Ms Mirga became pregnant in February 2006, after which point she held unregistered employment for a number of months. In August 2006 Ms Mirga claimed income support under the Income Support Regulations on grounds of her pregnancy. Her application for income support was refused by the Secretary of State for Work and Pensions. 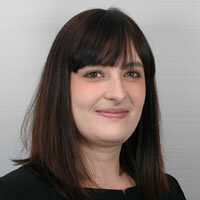 She appealed, and the decision was upheld by the First-Tier Tribunal and The Upper Tribunal which found that the Secretary of State was entitled to refuse the application because Ms Mirga did not have a right of residence in the UK under the A8 Regulations and therefore was excluded from the scope of the Income Support Regulations. Mr Samin was born in Iraq and successfully sought asylum in Austria in 1992. He came to the UK in December 2005 and has lived here ever since. Mr Samin worked for the first ten months which he spent in the UK, but has not worked since sometime in 2006. Mr Samin is socially isolated and suffers from poor health. In 2010 Mr Samin applied to Westminster City Council for housing under the Housing Act. The Council determined that Mr Samin was “a person from abroad who is not eligible for housing assistance“, because he did not have the right of residence in the UK under the EEA Regulations. This decision was affirmed by the Central London County Court and the Court of Appeal. Issue one: do the domestic regulations infringe the appellants’ TFEU rights? It was argued that pursuant to the right to free movement and in order to give effect to Ms Mirga’s right to private and family life under Article 8 of the European Convention on Human Rights (“ECHR“), Ms Mirga cannot be removed from the UK, and therefore her right of residence cannot not be limited by refusing to grant her income support. It was also claimed that such a refusal infringed Ms Mirga’s right to treatment equal under the 2004 Directive. The Court dismissed this argument. It ruled that Ms Mirga could not rely on the right to free movement because pursuant to the terms of the 2004 Directive and A8 Regulations she was validly denied the right of residence in the UK. This was on the basis that she had not achieved a continuous 12-month period in registered employment. The Court found that Ms Mirga’s arguments based on the ECHR did not assist her; it stated that although the refusal of income support might result in Ms Mirga leaving the UK, there was “no question” of her being expelled and that the refusal to grant income support did not amount to constructive removal from the UK. The Court noted that the right to free movement is a qualified right, which in this case is validly limited by the terms of the Accession Treaty and 2004 Directive. It further ruled that Ms Mirga could not rely on the right to equal treatment because such a right only arises where an EU national complies with the 2004 Directive, which it had been established Ms Mirga did not. Mr Samin argued that the refusal of housing assistance constituted unlawful discrimination on grounds of nationality. The Court ruled that Mr Samin’s claim failed because the prohibition on discrimination on grounds of nationality is qualified, in this case, by the provisions of the EEA Regulations. It ruled that Mr Samin is not a “worker” within the EEA Regulations because he is permanently incapable of work and in any event has not worked for 12 months in the UK. Accordingly, he is not a “qualified person” under the EEA Regulations. On this basis he was validly determined to be ineligible for housing assistance and such a determination does not amount to discrimination on grounds of nationality. In the alternative, the appellants argued that no consideration had been given to the proportionality of refusing each of Ms Mirga and Mr Samin social assistance, taking into consideration all the circumstances of their respective cases. The Court dismissed this argument. Relying on a ruling of the Court of Justice of the EU (Alimanovic (Case C-67/14)) the Court ruled that individual assessment of each of the appellants’ cases was not required because proper application of the 2004 Directive “guarantees a significant level of legal certainty and transparency in the context of the award of social assistance […] while complying with the principle of proportionality“. The Court considered it unrealistic to require an individual examination of each particular case, which would undermine the whole “thrust and purpose” of the Directive, as well as place a substantial burden on the host Member State. While the Court acknowledged its sympathy for each of the appellants, it noted that their appeals represent precisely what the 2004 Directive is designed to prevent: “economically inactive Union citizens using the host Member State’s welfare system to fund their means of subsistence“. The Supreme Court unanimously dismissed both appeals. Leave a reply on "Case Comment: Mirga v Secretary of State for Work and Pensions and another case  UKSC 1"